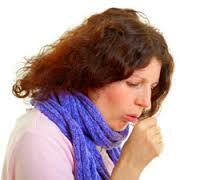 Homeopathic remedies will help a person with coughs of all types without suppressive medications. Constant Short, dry cough. Hoarse, loud cough. Dryness of chest. Feels like suffocating with each inspiration. Anxiety, restless, worse at night. After exposure to cold wind. Croup. Loose, rattling cough worse in the morning. Suffocating, choking cough. Hoarseness with loss of voice. Better breathing warm air. Worse when any part of the body gets uncovered or cold. Better sitting up and bending head backwards. Cough with marked dryness of mucus membrane; dry, hacking cough with frequent sneezing. Morning there is a long attack of dry cough, with difficult little mucus. Dry cough at night with dryness of throat. Splinter like sensation in throat when swallowing. Hoarseness. Cough with rawness of throat. Dryness of the throat when beginning to speak. Worse just before midnight; laughing, and sudden exertion. Cough with dryness of larynx. Red throat with scraping in larynx. Tickling and burning spasmodic, barking, short cough. Great whooping cough remedy with spasms in larynx causing whoop and difficult breathing. Red Face, dilated pupils. Child cries before cough comes on. Cough ends with sneezing. Hard, dry, spasmodic cough. Pain in chest, must press hand to sternum. Cough shakes whole body, must spring up in bed. Hurts to breathe deeply. Dry, raw, hoarse cough. Chest seems full of mucus and if the person cough a little deeper they could get the mucus out. Better with ice-cold water. Inability to expectorate. Escape of urine with cough. Nervous spasmodic cough; spasm of cough coming from deep in chest, triggered by violent tickling in throat. Cough usually at night. Spasmodic cough with oppressed feeling of chest, whistling in chest. Worse by drinking cold drinks, worse by speaking. Cough with greenish yellow fetid expectoration. Spasmodic hollow cough in short, hard spells. Worse evening or before midnight; by going in to cold air or in to cool air from a warm place, with copious mucus at night and morning. Cough attacks are so violent that they leave the person blue and exasperating for breath. Attacks can come suddenly and can come even in the middle of the night. Spasmodic, dry, irritating, choking cough. Like whooping-cough with hoarseness of voice. Dry, barking, croupy cough. Disinclination to speak because talking creates breathing difficulties. Vomiting after intense coughing. Worse after midnight, lying down or heat of bed. Very useful in whooping cough. For the short, quick, ringing cough known as the "minute gun" cough. The smothering shows itself in the form of gasping, crowing inspirations. After each attack of cough the person sinks back exhausted. Constriction of the chest before the attacks. For accompanied with convulsions, or when the paroxysms are long and interrupted. Spasms of the flexor muscles predominate. The cough is very violent and threatens suffocation. Coughs has tough, gelatinous mucus, there is much rattling in the chest, and the face and lips are bluish. There is relief from a swallow of cold water. Cuprum is good in cases accompanied with spasms, clenched hands, etc. Convulsive cough, where the child stiffness out and becomes blue or pale and loses its breath. Great nausea and relief from vomiting are prominent symptoms for Ipecac. A "gagging cough" is a good indication for the remedy. The discharge of mucus is copious and tenacious, and the person is very weak after the attacks. Violent shattering coughs following each other in quick succession, not permitting recovery of breath, indicate Ipecac. he child is limp and weak, and there is free perspiration. Spasmodic cough attacks late in the night or early morning about 3 am. Asthmatic attacks in kids that occur in the night while sleeping. Cough is extremely sensitive to cold air. Tickling in the throat and an irritation below the larynx that is aggravated by touching or pressing the pit of the throat. Dry cough. Usually become hoarse. Aggravated in the night and by motion. Better in warmth. Used at the very start of a mild cough accompanied by a sore scratchy throat. Used at the end of a bronchial inflammation along with any of the above in the evening to protect the lungs, support the liver and speed the recovery time. Used if the cough is deeper into the upper respiratory, shows up during the day or night and is wet. Addresses the dry spasmodic cough related to pulmonary spasms and/or the cough that has moved into the lungs.